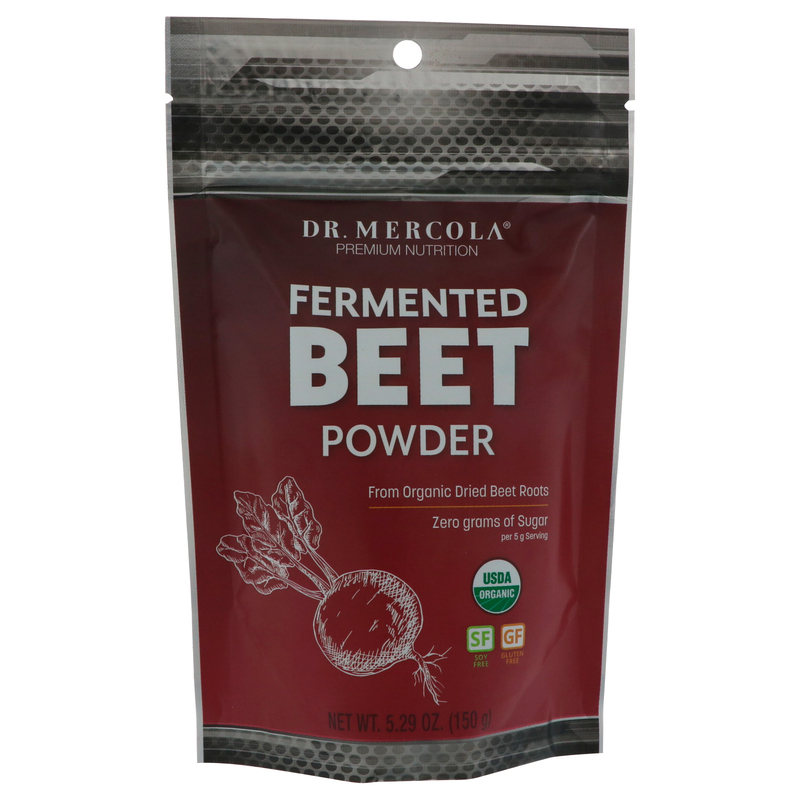 Made from organic dried beet roots, Fermented Beet Powder is a whole food source of antioxidants and nitrates. During the fermentation process the naturally occurring sugars are consumed, leaving the final product with zero grams of sugar per serving. 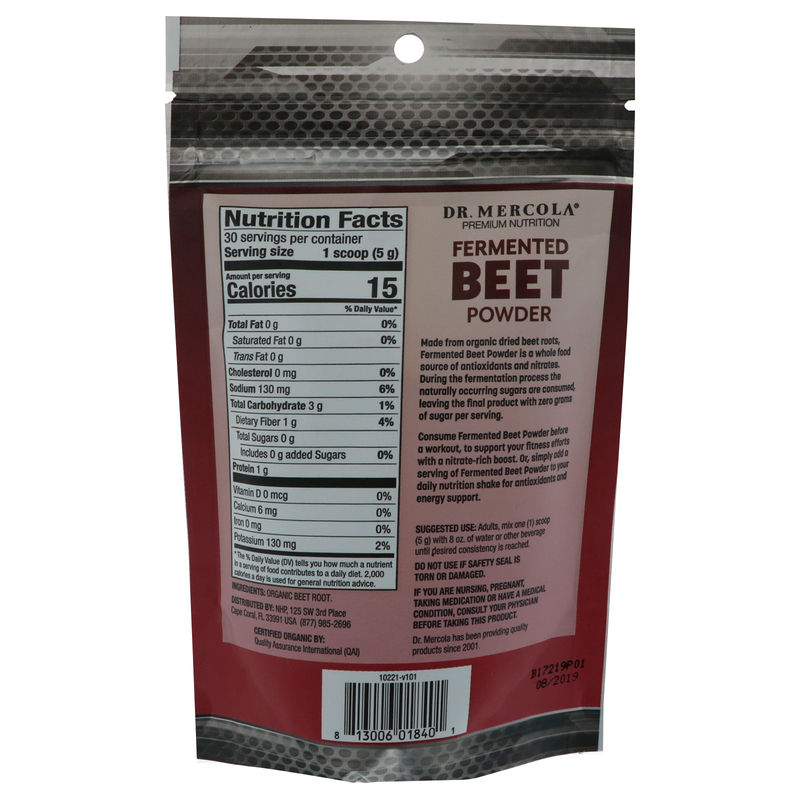 Consume Fermented Beet Powder before a workout, to support your fitness efforts with a nitrate-rich boost. Or, simply add a serving of Fermented Beet Powder to your daily nutrition shake for antioxidants and energy support. Adults, mix one (1) scoop (5 g) with 8 oz. of water or other beverage until desired consistency is reached.